Kraftwork Design is proud to work with the top manufacturers in the USA to provide our customers with the highest quality replacement windows. Looking to transform the appearance of your home? At Kraftwork Design, we understand that overtime your home’s exterior can begin to look worn and tattered. Why not update your home with our new vinyl siding installation services. Choose from our wide selection of gorgeous, virtually maintenance-free replacement windows. Available in both wood and vinyl furnishing, our replacement windows are both stylish and economically friendly. Available in a variety of affordable options —including vinyl siding & LP Smartside —Kraftwork Design offers the best prices for siding in Denver! Kraftwork Design has over 30 years of roofing installation and replacement experience. Our company owner will personally assess your roof damage and provide a detailed evaluation making negotiating with your insurance even easier. Are you looking for a Vinyl Siding Installation & Roofing or Window Replacement in Denver? 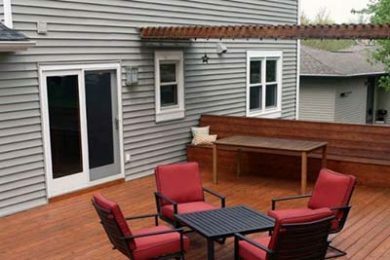 Kraftwork Design is a family-owned business dedicated to working closely with our commercial and residential customers. 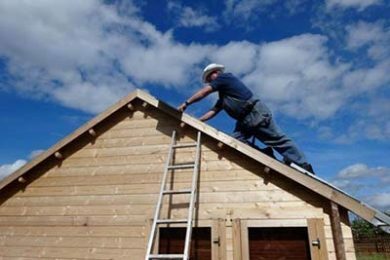 Whether you need a roof replacement or vinyl siding installation, our company owner will come to your property to complete an on-site evaluation. This alone can save you literally thousands of dollars on inflated commissions that you would otherwise give to a salesman. Kraftwork Design has over 30 years of industry experience and carries a 2 million dollar general liability insurance policy as well as a workers comp policy. We are deeply dedicated to helping you, the consumer, understand every aspect of the remodeling, design and construction process without the cheesy sales gimmicks. We take pride in educating our clients and staff, and do so by attending the most current Remodel Shows and Seminars throughout the country. 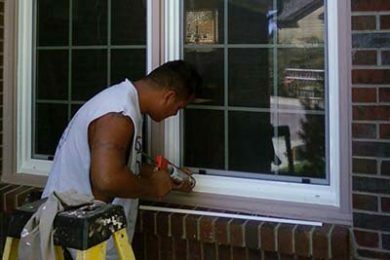 Whether you hire us for a roof installation or replacement windows, a lead remodeler is assigned to your project from beginning to end to ensure consistency and quality. Read our contractor FAQ!